TJ Hale has developed facilities to support the expectation of making our clients look good. 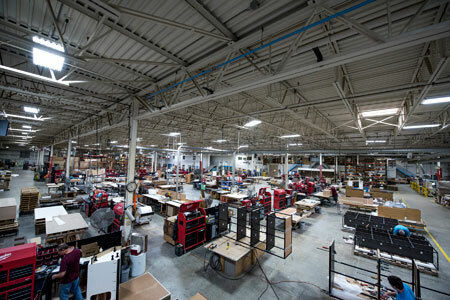 TJ Hale’s corporate headquarters and production facility is under one roof, centrally located in Menomonee Falls, Wisconsin. This location accommodates the latest in CNC manufacturing equipment and a modern finishing facility. Our skilled production teams enjoy a spacious production floor that can be configured to meet our clients’ various fixture production needs – from small format stores to large volume multiple store builds. To enhance production efficiency, this location also houses our Client Management, Accounting, IT, HR, Engineering, Project Management, Purchasing, and Operation teams. Our cutting edge metal facility was integrated within TJ Hale’s Menomonee Falls Global Headquarters in summer 2015. This accommodates state of the art cutting, bending, welding, fabricating, machining, and powder coating. We’re capable of working with aluminum, mild steel, and stainless steel materials. The cellular layout of this facility supports our prototyping and single fixture production on in addition to weekly production volume yields. 100,000 sq. ft. of additional space allows orders to be configured specifically to our client’s needs. 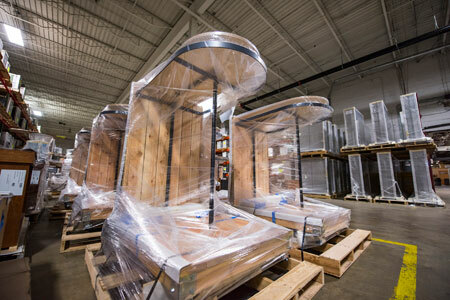 This shipping, packaging, and distribution facility located in just a few minutes away from the production facility, serves as a centralized hub for consolidation and shipping numerous orders worldwide. 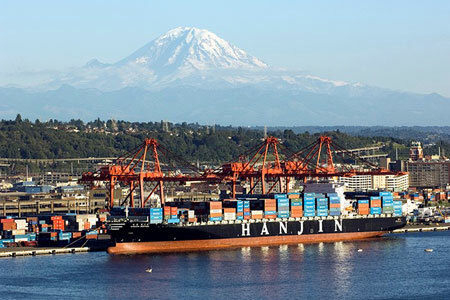 TJ Hale has established partnerships in Asia and Europe to support operations for manufacturing and distribution of TJ Hale product in these communities while reinforcing project management and installation functions. These relationships provide additional client support in countries where TJ Hale product is represented.